You know the importance of social media and that you need to post regularly, but do you see a lot of interaction on your accounts? If you don’t, you’re not alone. Many people take the time to stay active on their social media accounts but still don’t see much return on effort (ROE). That’s because many people don’t know the secret sauce it takes to increase interaction. Today we’ll be looking at how to get more Twitter engagement. Twitter, after all, is an excellent B2B social media platform, second only to LinkedIn. So keep the following advice in mind to start seeing more likes, retweets and followers! Why is the latter the most important? Well, the point of social media marketing is to A. build awareness and B. send people to your site. The more click throughs you get, the more successful your social media marketing efforts will be. You want this type of engagement because it’s your best bet of getting your content viewed and shared. And here’s the good news: link clicks account for 92% of all user interaction with tweets. Why is all this Twitter engagement important? Think of it this way: the more people interact with your tweets, the more people will click on the links in your tweets. The more people click on your Twitter links and go to your site, the more people read your content. The more people read your content, the more people are likely to share it on social media. 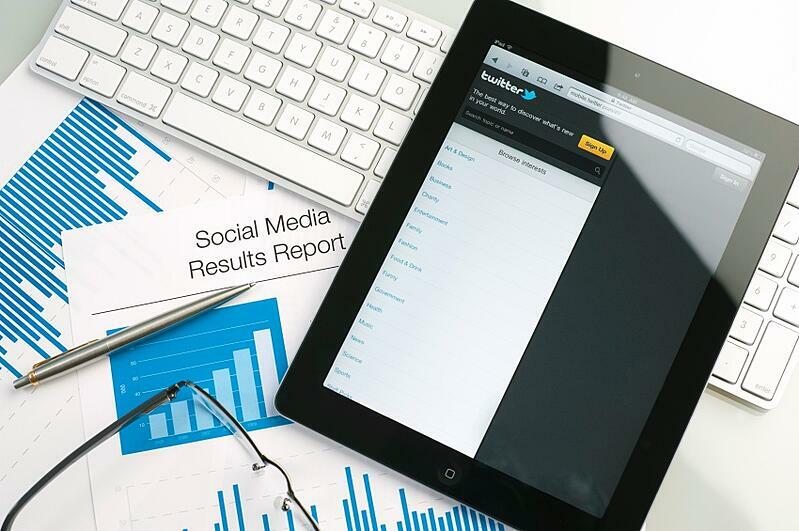 Consequently, your social signals will rise, improving your SEO. And it doesn’t end there. All that incoming traffic and user engagement on your site can lead to more conversions, sales, and revenue! Now that you know what it is and why it’s important, it’s time to learn how to increase your Twitter engagement. Here are some things to keep in mind to improve interaction. Twitter is a noisy platform. Unlike LinkedIn, it’s much more about quantity than quality (although quality is still important). 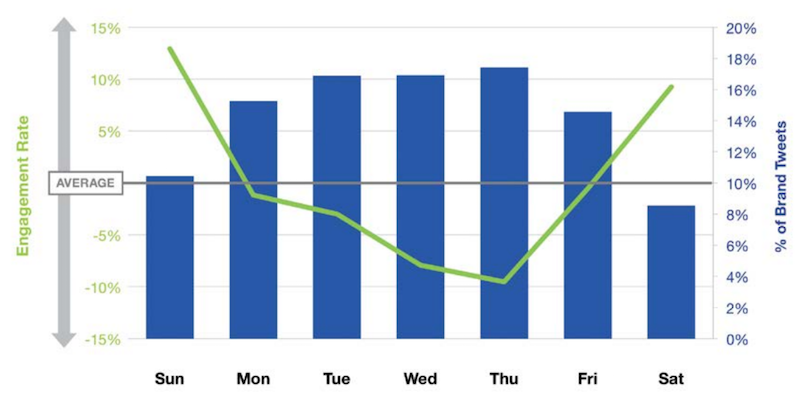 According to Salesforce Marketing Cloud, there’s an inverse relationship between daily tweet frequency and engagement, meaning the more you tweet per day, the less engaging your tweets become. 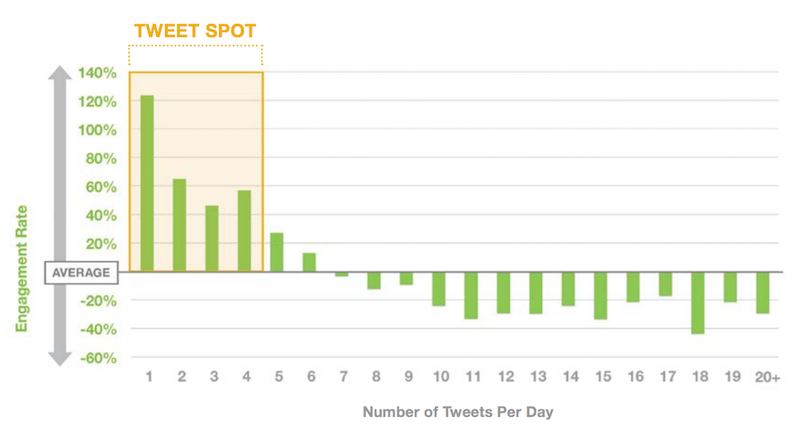 The “Tweet Spot” for brands is one to four tweets a day. After four posts, engagement drops significantly. Twitter is busiest between 8am and 7pm. Now, this might lead you to think that you should not tweet during these times so you don’t get drowned out, but that’s simply not the case. In fact, when brands tweet during these busy hours, they receive 30% higher engagement than when tweeting between 8pm and 7am. This applies to Saturday and Sunday as well. According to Salesforce’s study, “Twitter engagement rates for brands are 17% higher on Saturday and Sunday compared to weekdays.” However, only 19% of all brand tweets are published on Saturdays and Sundays, meaning businesses aren’t taking advantage of this trend. Last but not least, it’s important to post what Twitter users like best. Although you might feel limited by 140 characters, it’s been found that you get a 17% higher engagement rate if tweets contain less than 100 characters. Furthermore, make sure you’re using hashtags effectively. Salesforce found that hashtags receive two times more engagement than those without them. Just make sure you’re limiting hashtags to one or two per tweet. 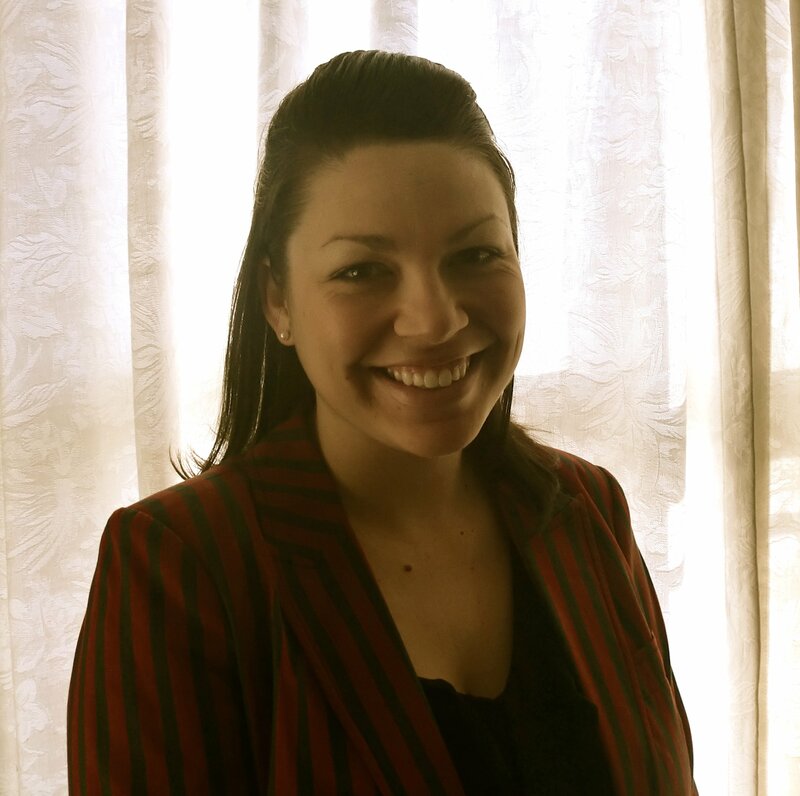 Including photos can also increase engagement. 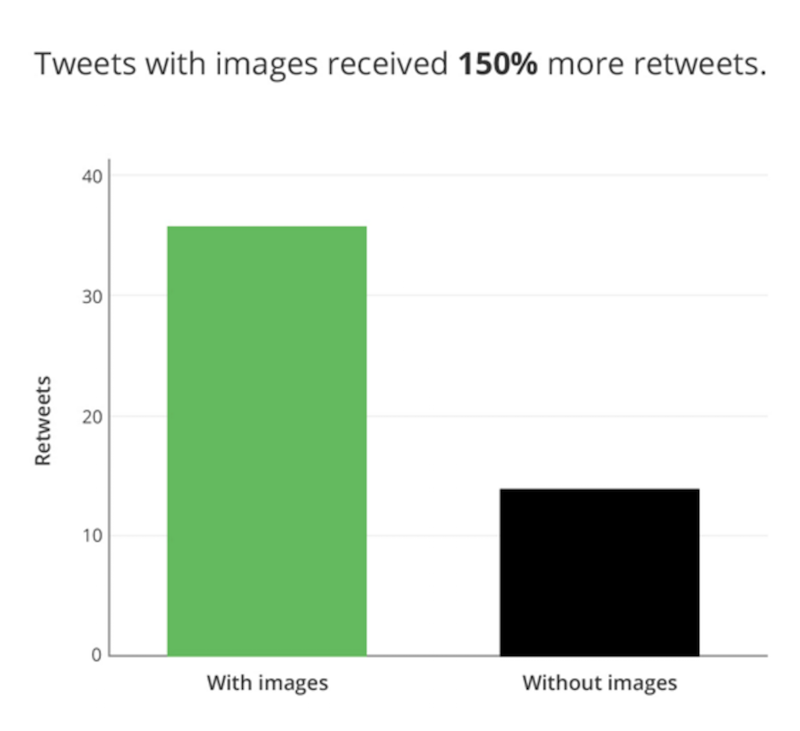 Buffer found that tweets including images received 18% more clicks, 89% more favorites and 150% more retweets! By posting the right stuff regularly and at the right time, you’re sure to see your Twitter engagement rise. Remember that, in addition to all the aforementioned statistics, the golden rule of online marketing still applies: if you’re providing value, you’re doing it right.